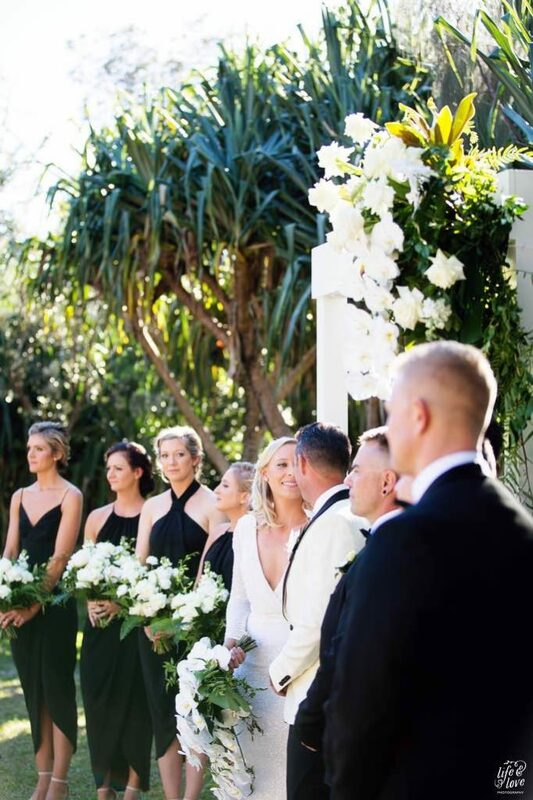 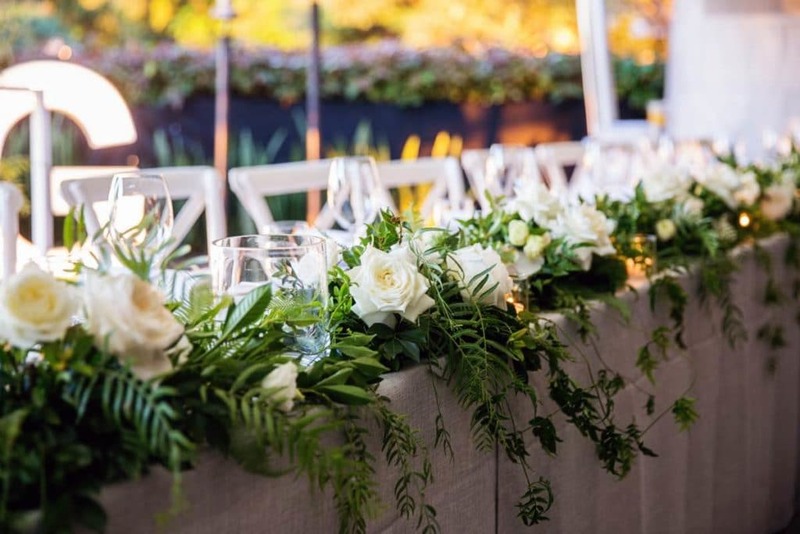 Jason and Michelle’s wedding was a vision of perfection, crisp white furnishings by The Hire Department balanced with an abundance of lush mixed foliage garlands and modern style reflexed roses and phalaenopsis orchids set the scene for the perfect day. 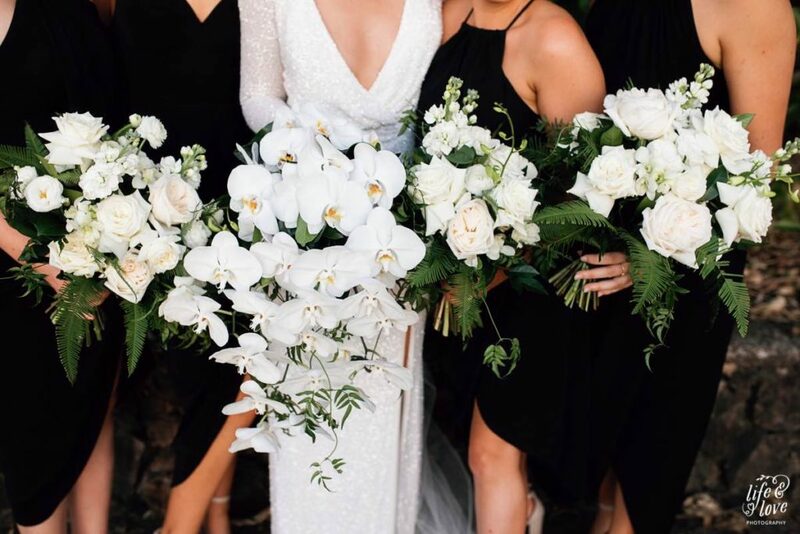 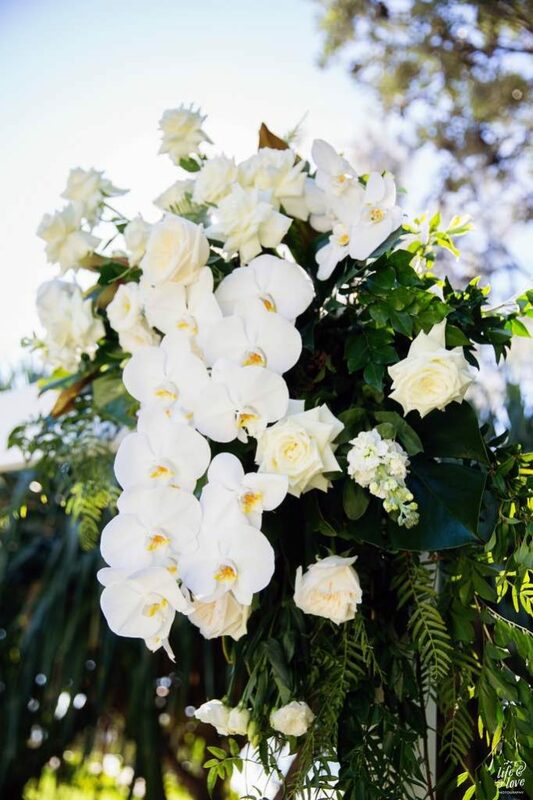 Michelle’s bridal bouquet was an oversized cascade of the most amazing white Phalaenopsis orchids, pure elegance will never date. 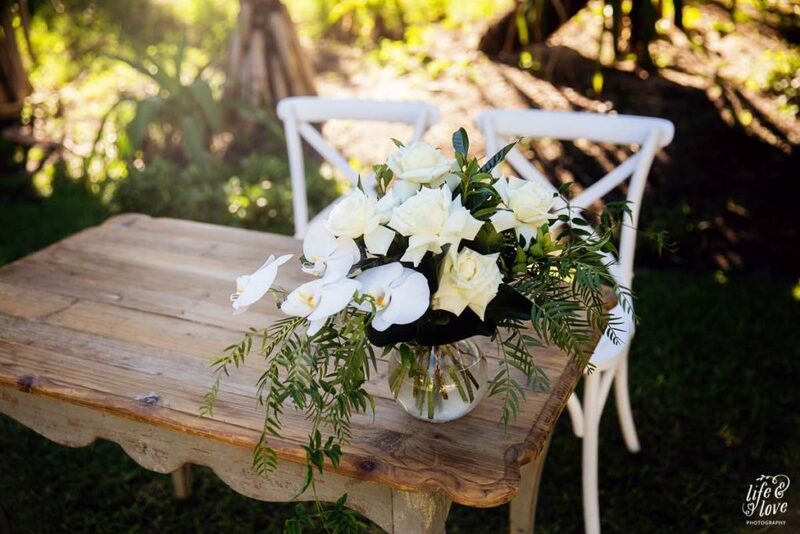 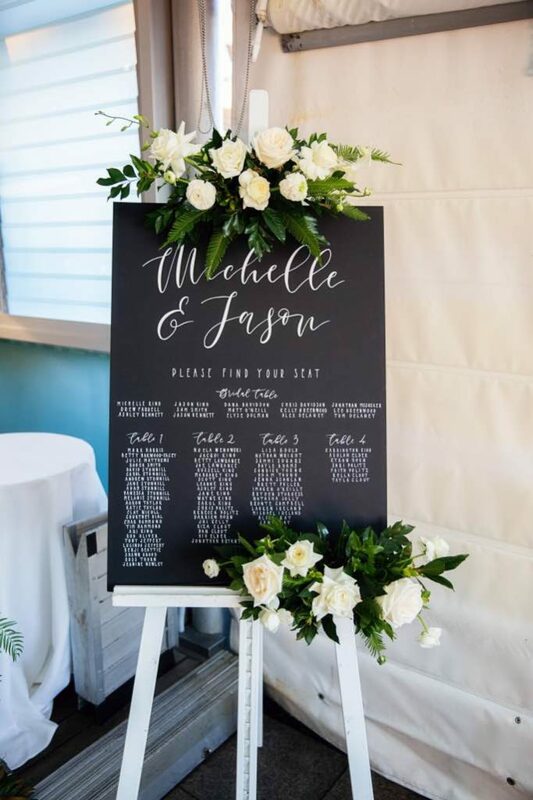 Michelle’s vision was to bring a little bit of the Sunshine Coast Hinterland to the coast, we loved incorporating a little bit of a country style floral design with the modern Noosa vibe. 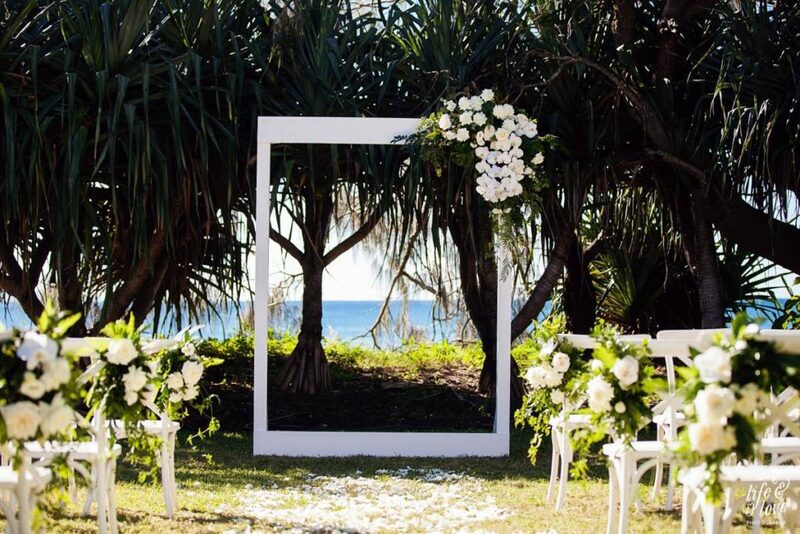 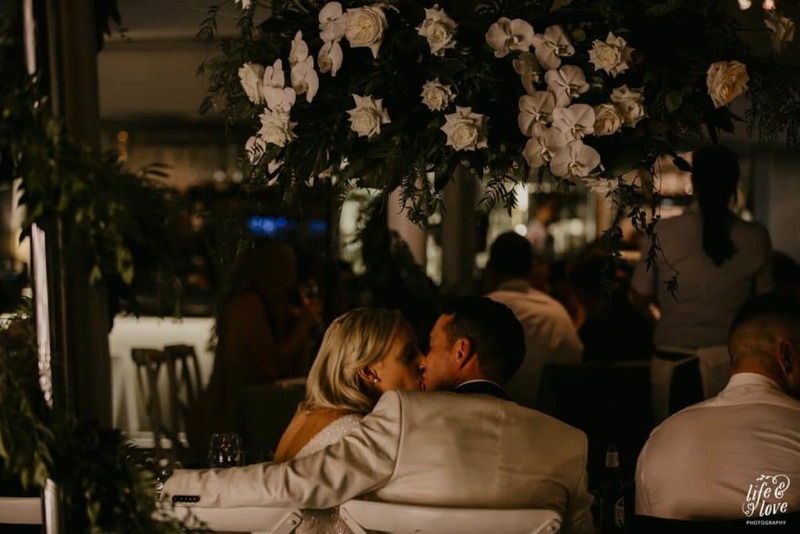 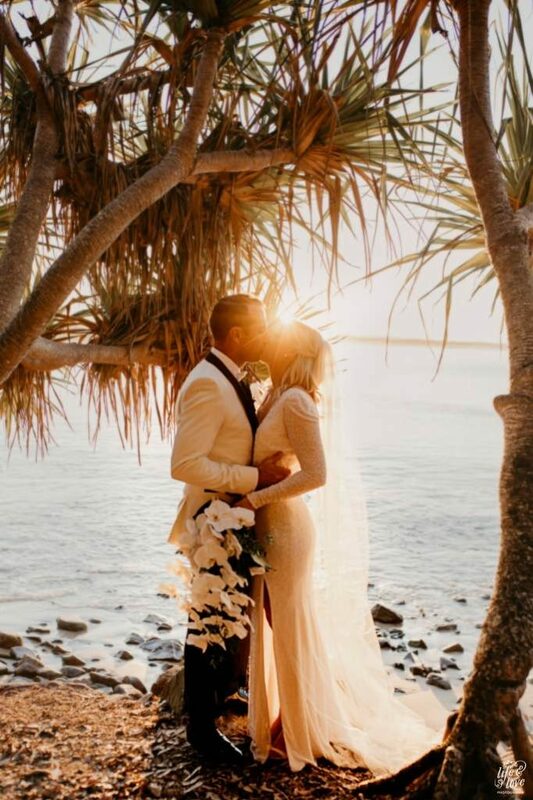 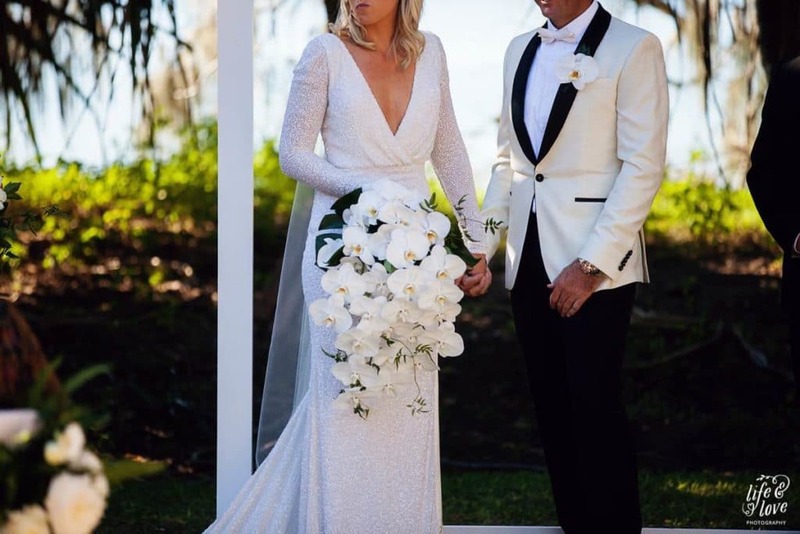 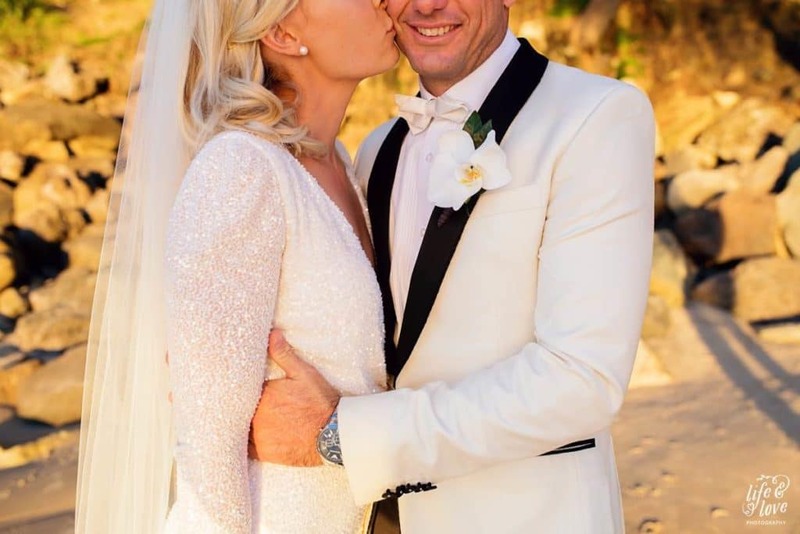 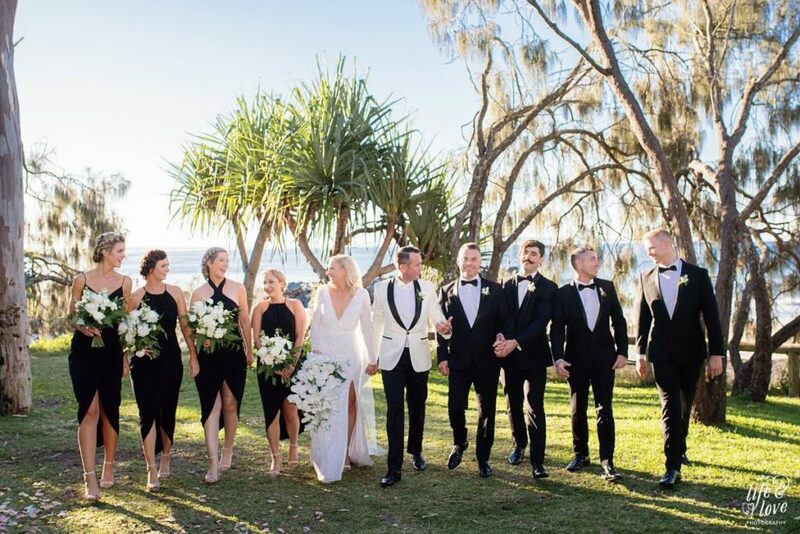 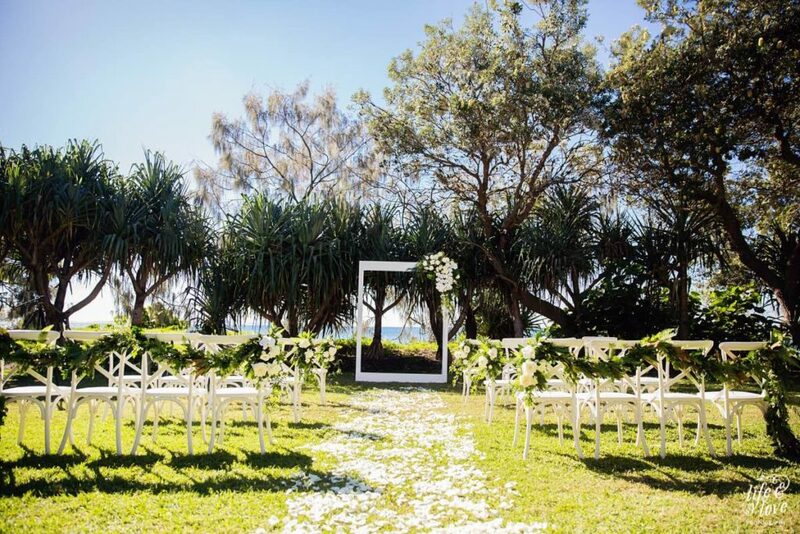 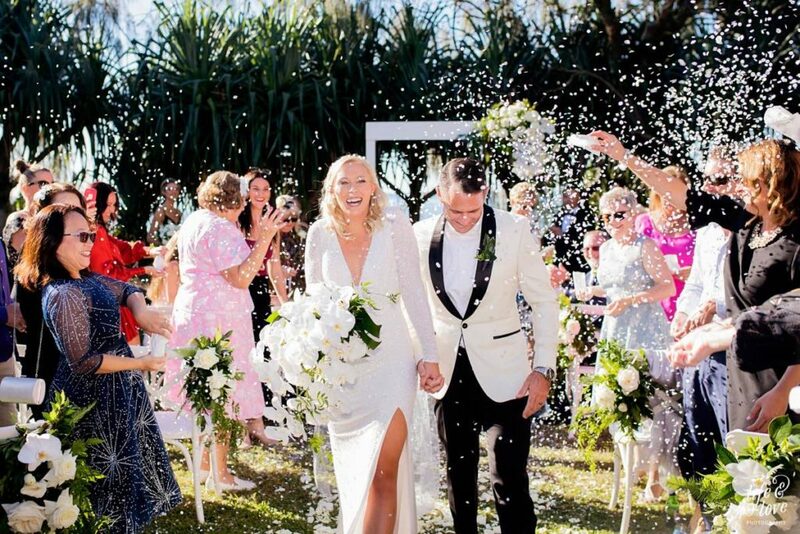 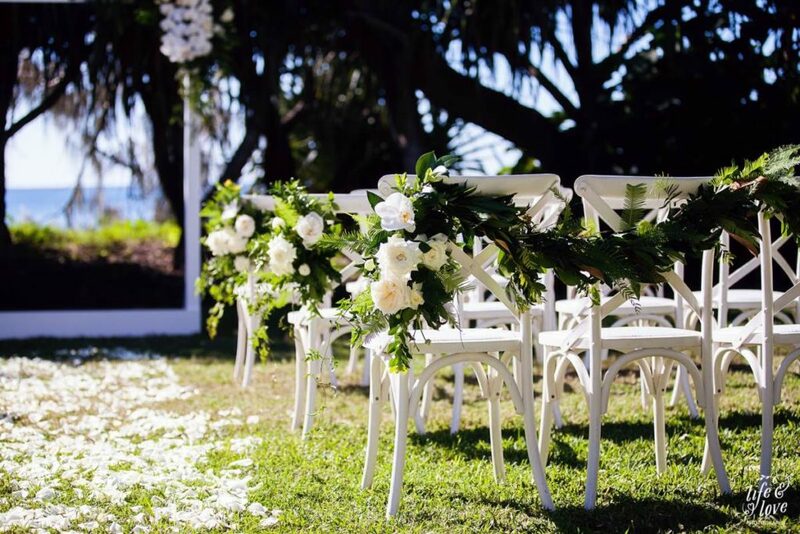 I cannot recommend Willow Bud enough, the team was so amazing to deal with, listened to what I wanted and provided me with the winter wonderland wedding I wanted in Noosa. 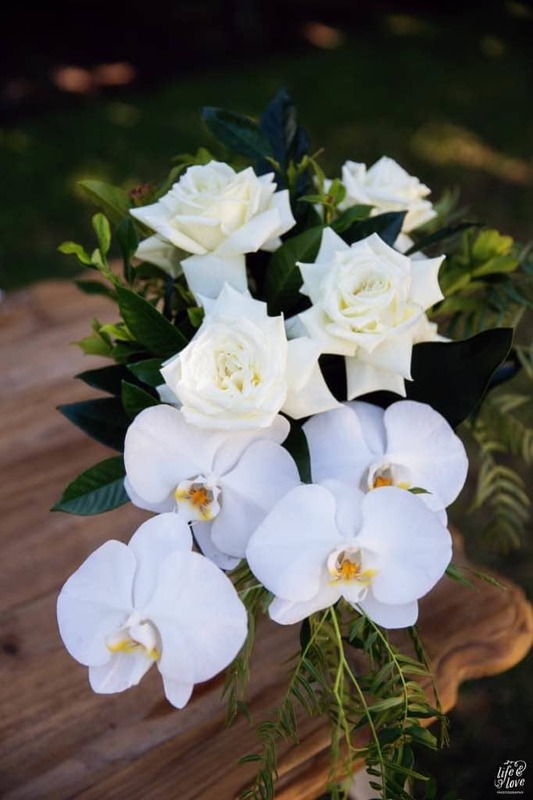 Thank you so much for everything Sandi! 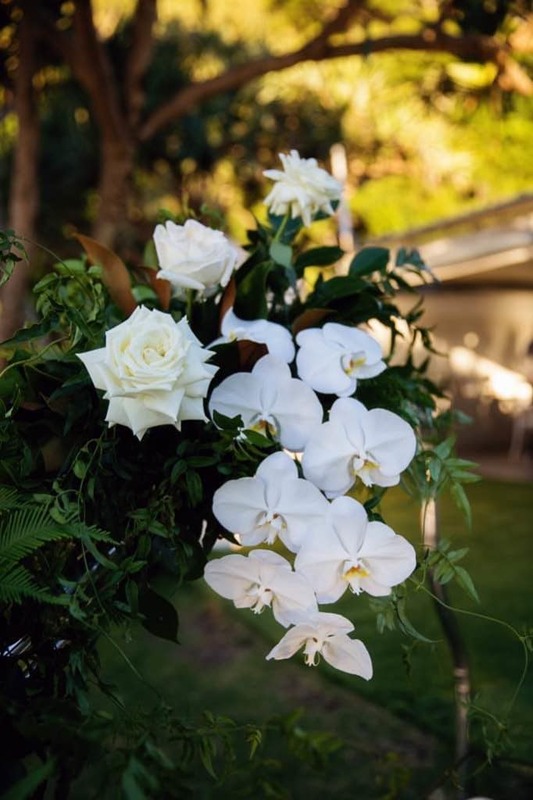 I loved my flowers so much. 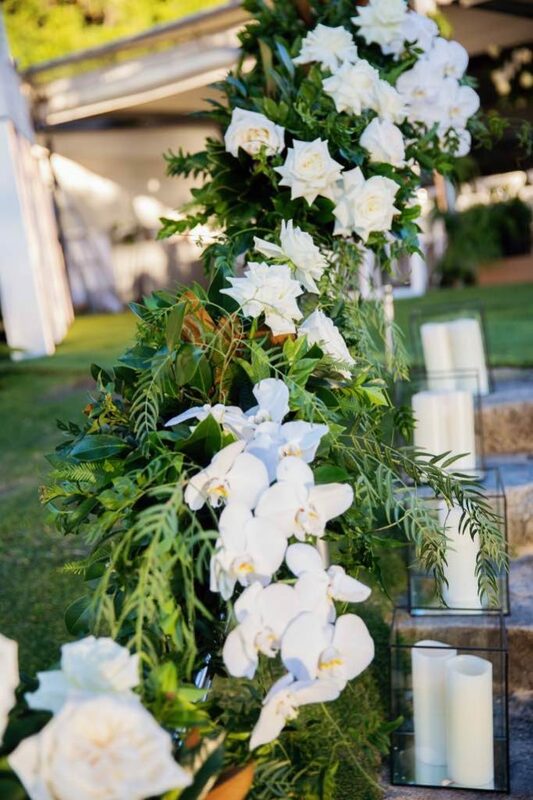 For the reception, an abundance of lush foliage trailed up the handrail with cascading orchids and roses for a really luxurious way to say ‘Welcome to the wedding reception!’ This teaser of a design led to the most beautiful coastal style reception area which Sails Restaurant in Noosa is famous for. 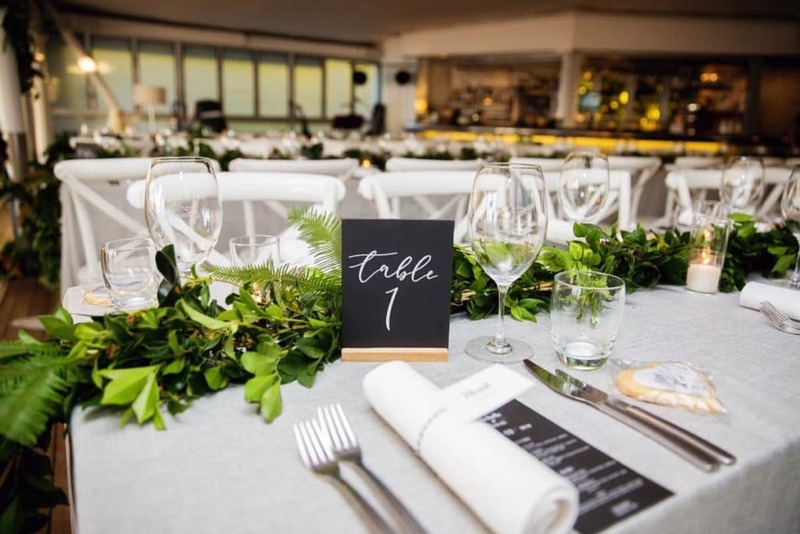 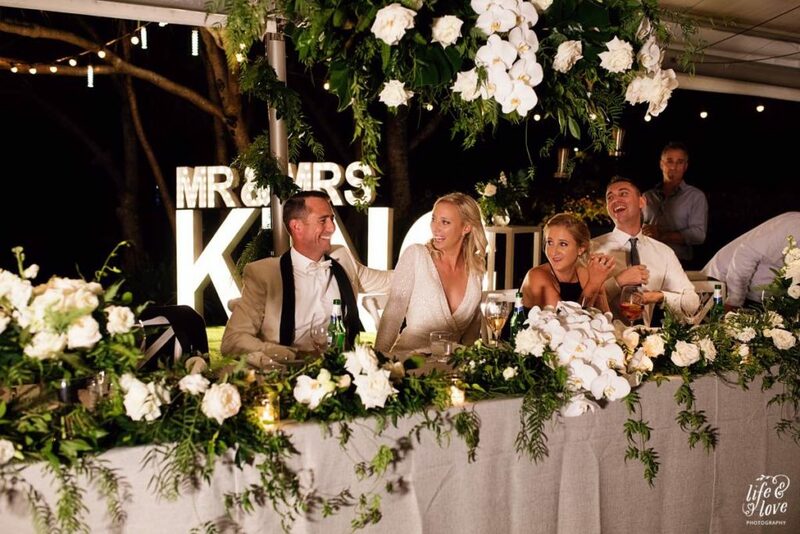 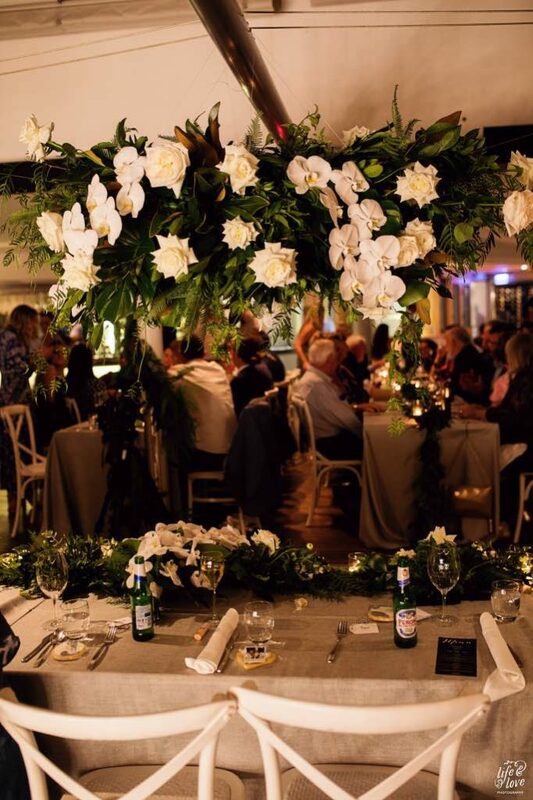 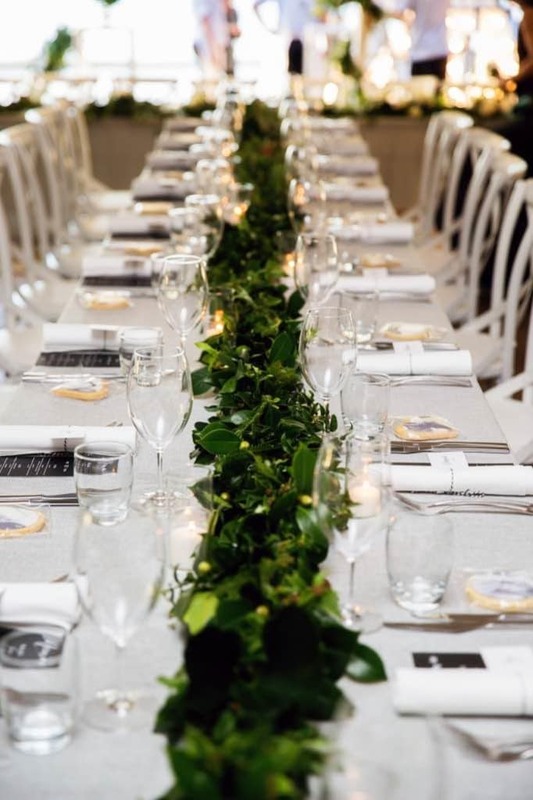 Mixed foliage garlands abundant with tropical leaves flowed down the guest tables and twisted down the poles to add more of the Sunshine Coast Hinterland indoors. 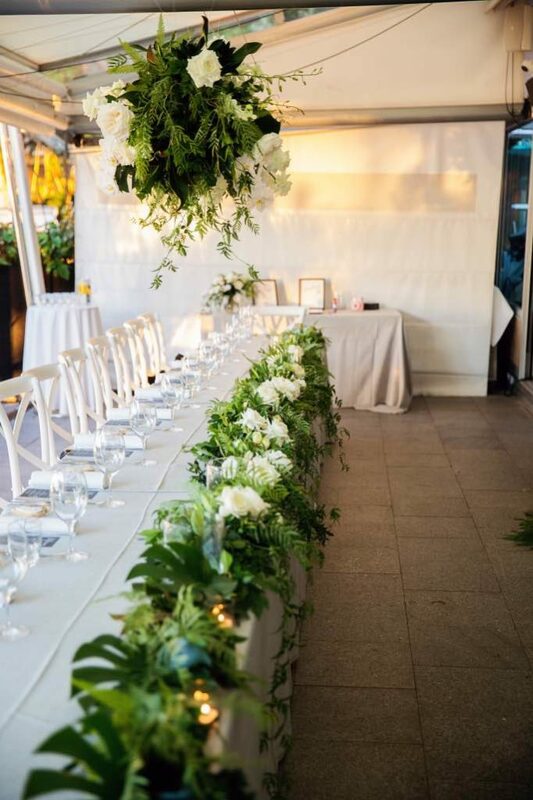 An oversized hanging installation dripping with blooms from all angles framed the bridal table and cascading floral hedges flowed down the bridal table for an abundant look. 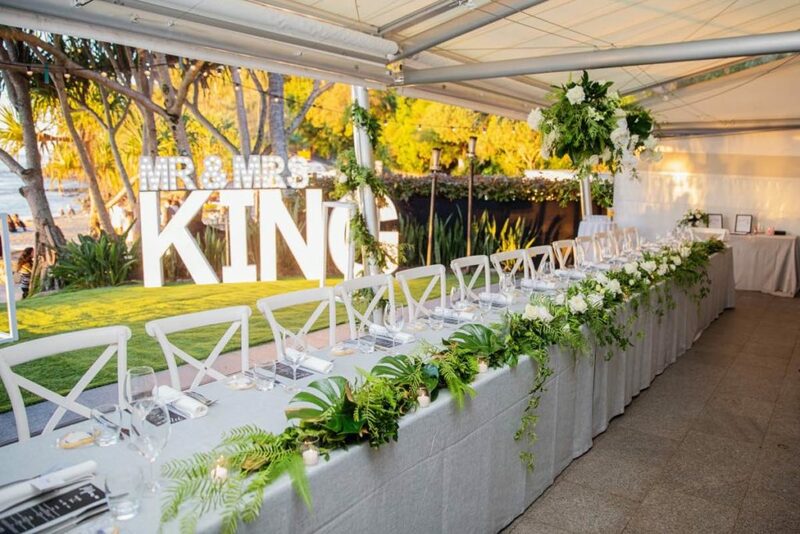 This design really was classic, luxurious and oh so romantic!